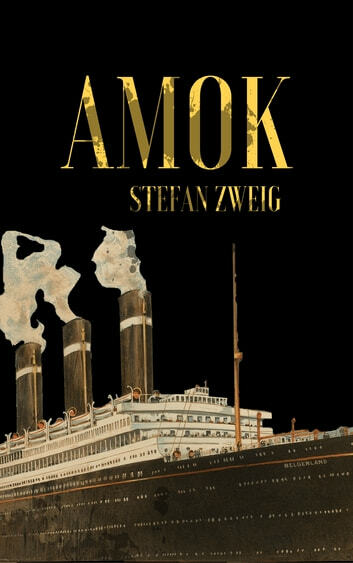 Amok is a novella by the Austrian author Stefan Zweig. First printed in the newspaper Neue Freie Presse in 1922, Amok appeared shortly afterwards in the collection of novellas Amok: Novellas of a Passion. As Zweig was fascinated and influenced by Sigmund Freud’s work, Amok includes clear psychoanalytical elements. It deals with an extreme obsession, which leads the protagonist to sacrifice his professional and private life and, eventually, to commit suicide. The title of the novella comes from the Indonesian-origin term "amok", which was uncommon in those days. It refers to people who attack the enemy in supposedly blind anger and try to kill the enemy as well as anyone else in their way, randomly, without taking into consideration any danger. The actual title is Der Amokläufer an apparent Hochdeutscheneologism from the Malay original and the basis of "running amok".